I recently dug through the dusty contents of my personal library, which has been living in exile ever since we moved to our current house four years ago. Shame on me, I know. But picking through stacks of books was reminiscent of browsing a well-stocked nautical used-book store before that species went extinct. It gave me a chance to reconnect with good old friends between hard covers: Childers, Conrad, Kipling, London, Tompkins. 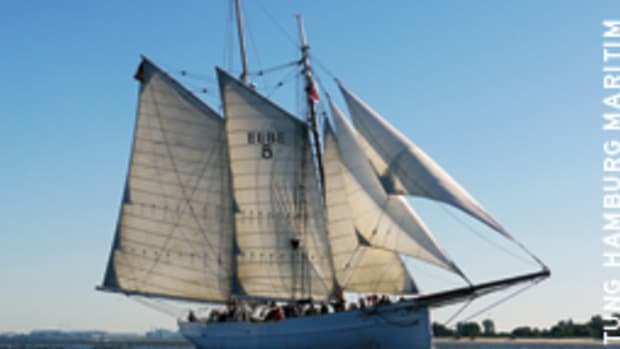 But I quickly got past these sailing writers and kept digging, stacking and repacking until I finally got to the writing sailors, such as Marcel Bardiaux, Francis Chichester, Vito Dumas, Robin Lee Graham, Bernard Moitessier and, of course, Joshua Slocum. All were exceptional seamen who traveled the oceans alone in their fragile craft when that was the stuff of heroes. But their distinction goes beyond fortitude and ability. They also wielded pens that turned their exploits into delectable stories. And in that capacity they have become idols for Paddy Macklin. Paddy who? Patrick, or “Hippy Paddy,” as they call him back home in Falmouth, England, is a house painter and decorator, though that’s just a ruse. Paddy is a free spirit who loves to watch the last sliver of land drop astern over the horizon. 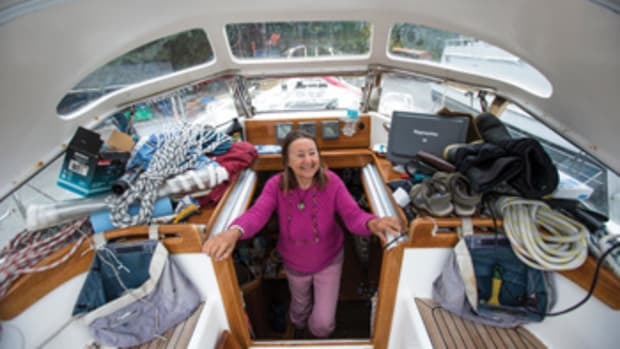 Last summer he completed a 17-month, one-stop solo jaunt around the world on Tessa, an engineless wooden 27-footer that was built more than 50 years ago for the rough waters of western Scotland. At 53, Paddy isn’t of the cute teenage variety. He didn’t have a sugar daddy waiting along the route, ready to hop on board and fix what needed fixing. And he didn’t have a public relations machine to increase his media exposure and brand visibility. Paddy is his own man. Not more, but nothing less. In an age of social media and narcissistic hype, he’s an anachronism. 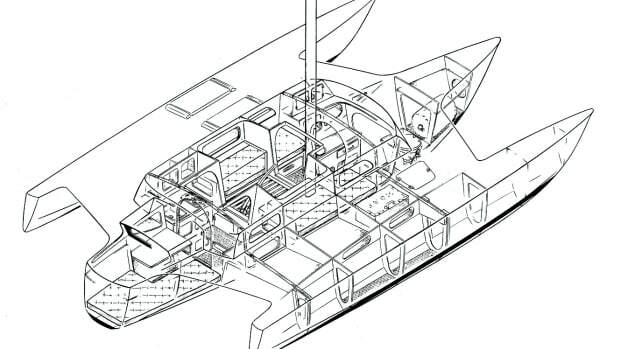 Other inspiring characters are Bardiaux, a Frenchman who went around the Horn east to west in a little boat called Les 4 Vents and, not surprisingly, the Argentinean bon vivant Dumas, who took his double-ender Lehg II, a modified whaleboat, around the world in the Roaring Forties in 1942. “They are my heroes. They are the early people who had nothing. No VHF, no electrics at all. They would have died. 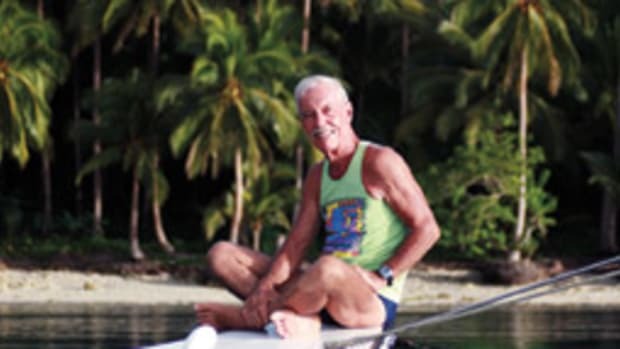 There were no EPIRBs or life rafts,” says Paddy. Ah, the fine art of going to sea and being prepared to drown like a gentleman in the event of misfortune or plain bad luck. It’s the kind of self-reliance that’s associated with Herbert “Blondie” Hasler, one of Britain’s World War II Cockleshell Heroes. 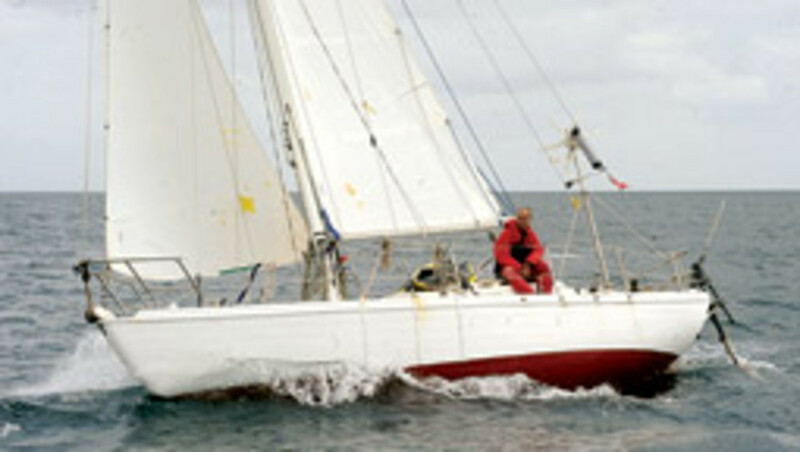 Hasler allegedly bet Francis Chichester, one of five competitors in what would become the famous Observer Single-handed Trans-Atlantic Race in 1960, half a crown for the fastest crossing of the Atlantic. (This wager is disputed as myth by Hasler’s biographer Ewen Southby-Tailyour, but it’s the solo crossing that’s important here.) 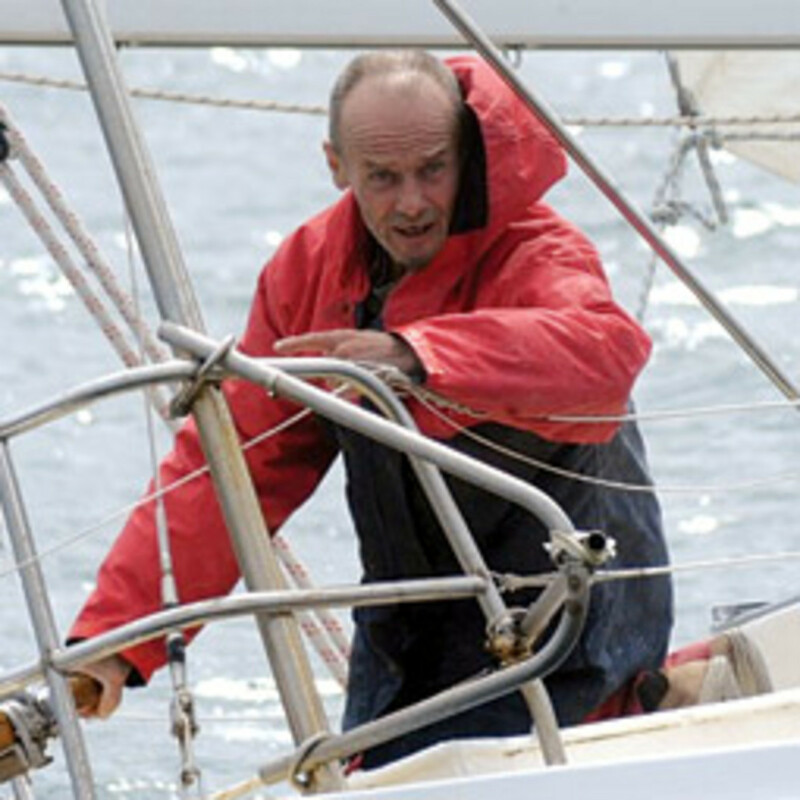 Paddy never sailed in any of the OSTARs or its successors, but he did his own single-handed crossing of the Pond in a humble Folkboat in 1987 as a prelude to his recent solo circumnavigation. No charging power was one thing, he says, but water in the boat and contaminated food was another. 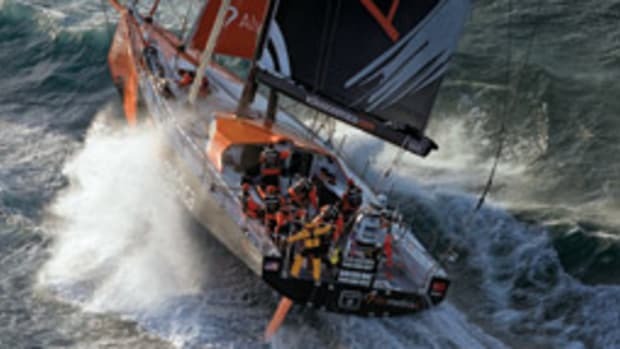 So he decided to abandon his non-stop ambitions and put in to Timaru on New Zealand’s southern island, where he spent four months putting himself and the boat back together. 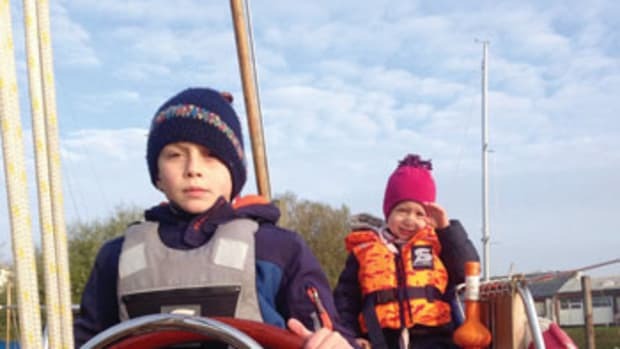 Sailing in the same nasty weather system, but farther to the east, he broke out the sat phone to call rescuers in Canberra, Australia, and offer help. 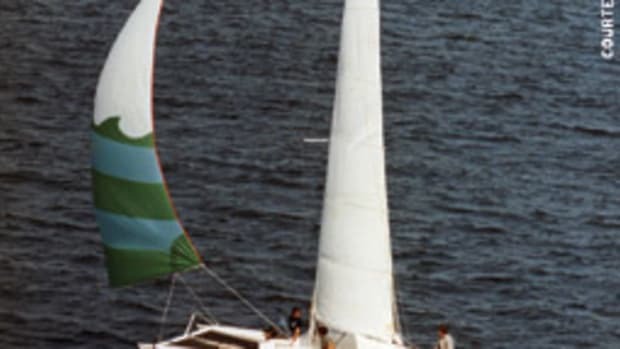 And what a story that would have been: Old Paddy and old Tessa, without engine or sponsor, turning around in a gale to pick up a well-funded teenager who wanted to set a record, but was bobbing around helplessly on an incapacitated yacht. “Without wishing to flatter myself, Tessa and I were up to the task,” Paddy says. Looking back on those 17 months, what did Paddy get out of his trip? “Now that I’m a Cape Hornier, I can have an earring and toast the Queen with one foot on the table,” he says jokingly. He also told me he learned to distrust the lookouts on commercial ships, who too often fail to detect a sailboat in a seaway. The boat’s Automatic Identification System receiver, which he says he retrofitted in New Zealand, did not work when he needed it. So what’s next? “I already plan to do the Northwest Passage with Tessa,” he says. He won’t put the engine back in, which he had removed to store extra food and water. Instead, he might take an outboard to the Arctic. Not that Paddy will go soft on us, but for purely practical reasons he thinks adding another form of propulsion might help him get through the ice. And yes, he’ll go back to work as a house painter and decorator, but only as long as it takes to earn enough money for his next adventure. In parting, he confided that he also plans to write a book. Well, Paddy, when you’re ready, let me know where I can order an advance copy. It’ll be an entertaining read, I’m sure, one that’ll fit right in with Chichester, Dumas, Graham, Moitessier and Slocum.